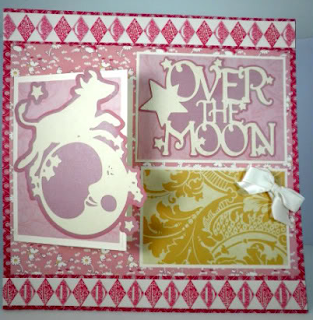 Most new scrapbookers are also new moms! So it made sense to have a category for the moms in the audience. 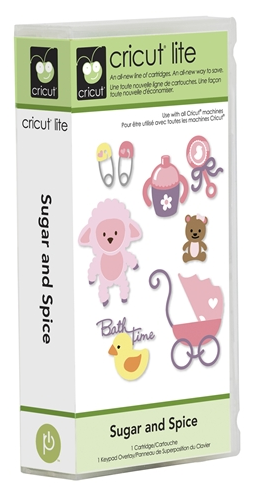 1) Sugar and Spice: This Lite cartridge is available at Walmart (store and online) and at cricut.com and has the cutest baby images! 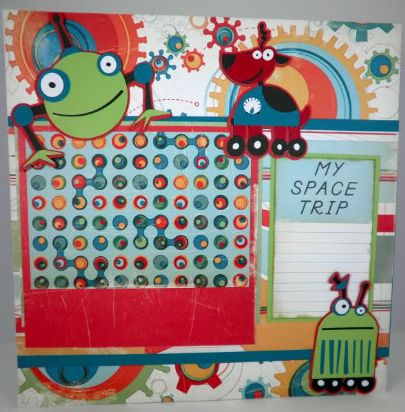 2) Boys will be Boys: Loads of preschool and early elementary school appropriate images for boys, fantastic word art and the super cute arrow font on this full size cartridge. 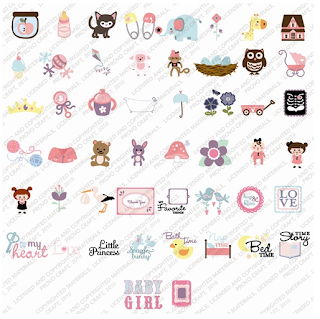 3) Nursery Rhymes: A more sophisticated look at nursery rhymes in this full size cartridge with two fonts and images with matching word art. 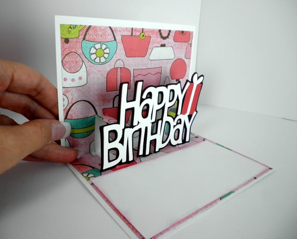 The designs are two layered. 4) Robotz: Hard to leave off this full size boy cartridge! 5) Once Upon A Princess: If you've got Robotz on this list, Once Upon A Princess better show up also. This full size cartridge has the cutest bags - here's one I made. 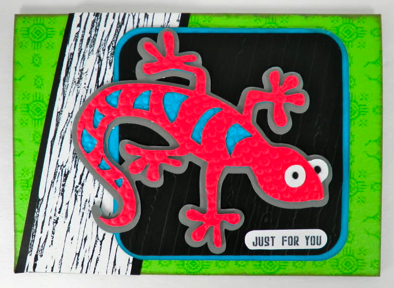 The card features a pop up sentiment inside made from some of the word art on the cartridge. 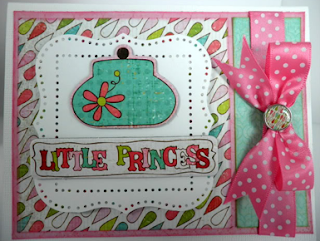 Cricut Sugar and Spice Cartridge! This one was really tough! I'm sure there will be some controversy on my choice but I chose this because it had such cute baby type images. Nursery Rhymes, although it's a full cartridge, has such a specific theme and style that I felt it wasn't well rounded enough. The other cartridges were too gender specific. What was really hard was to narrow it to just these five choices. There were other cartridges that could have made the list such as: Nate's ABCs, Playtime, Twinkle Toes, and Dude! to name a few. What would you choose? I would love to hear! That was a tough one too! I thought Sugar and Spice was too girly but seeing what you have done with it, I am wrong. Great projects!!! I'm a huge fan of Robotz, but yes, it's very gender specific. I was very happy to see a dedicated boys cartridge over the princess/girly stuff that was previously available. I also love the font on Robotz - big and chunky. Love your best of series - great projects and ideas! No Girls at my house but it is a cute cartridge! Sugar and Spice looks like a great cartridge. Thanks for doing this Top 10! that princess card is just the bomb. everything is right with that! over the top. i like it every time i see it more. I think my fav. girly cart. is twinkle toes! Have a happy new year! This is a really good recap of the carts and I have been eyeing the Boys will be Boyz and Robotz. I have two toddler boys and I think I would get great mileage out of them! Thanks for sharing!!! I am so enjoying your "Best of" awards!! The only bad thing about it is that I see I might've overlooked some carts based on their titles &, now, I "need" them...it's a terrible problem to have ;) Can't wait to see the rest of the awards! I don't know, I can't choose. I don't do much little kid stuff so am more in tune with preteen carts. All are great and I do like the bags in Once Upon a Princess. thanks for the review. Having been blessed this past year with twin granddaughters, I have become a huge fan of all the kiddie carts. I have all of the above and I use them all and like them all, but I really love Sugar & Spice. It really is adorable. I definitely support your pick in this category. Thanks for the fabulous samplings this past week. You're supper!!!! Looking forward to another fabulous year. Oooh I was JUST looking at this cartridge today at WM!! 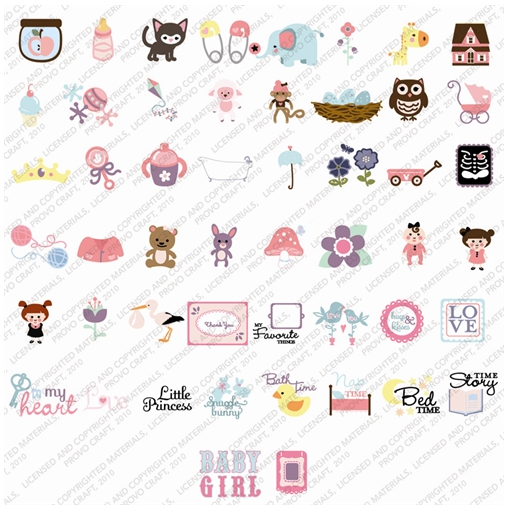 I found out over Christmas that my dd is having my 1st grandbaby & I'm thinking I'll need some new baby cartridges! TFS! That is really tough! I love that cart though! 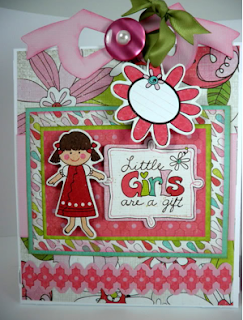 I haave Sugar and Spice down on my list as the next in line for purchase. It will be great for baby projects and this Master Gardener loves loves loves the bird nest. In talking about "brush street" effect, rivers am very satisfied. He told reporters that pull breeze performance type "brush street" team, the first day on the street, successful sold a pair of 600 yuan of shoes. Now, although only the opening half a month, but add orders, has sold nearly 10 pairs of shoes, turnover of more than 5000 yuan. I like them all but you have a few good points to make!